how to summarise the diagram before describing the stages in detail? whether to use active or passive verb forms? The diagram illustrates the various stages in the life of a honey bee. We can see that the complete life cycle lasts between 34 and 36 days. It is also noticeable that there are five main stages in the development of the honey bee, from egg to mature adult insect. The life cycle of the honey bee begins when the female adult lays an egg; the female typically lays one or two eggs every 3 days. 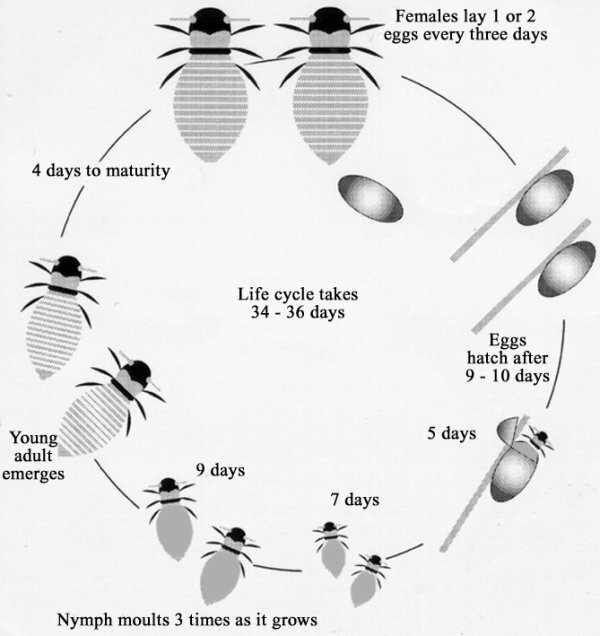 Between 9 and 10 days later, each egg hatches and the immature insect, or nymph, appears. During the third stage of the life cycle, the nymph grows in size and sheds its skin three times. This moulting first takes place 5 days after the egg hatches, then 7 days later, and again another 9 days later. After a total of 30 to 31 days from the start of the cycle, the young adult honey bee emerges from its final moulting stage, and in the space of only 4 days it reaches full maturity.